In this episode, two veterans of planting church venues on the college campus discuss the principles and practical steps to follow for a successful launch. Serve the campus. Building and maintaining a good relationship with the university administration can pave the way for churches to launch mulit-site venues on campus. This can be done in many ways, including by providing volunteers for on campus needs and events. Behind every policy there’s a person. Pray and look for persons of peace on campus. Cast the net wide and leverage relationships with university faculty and support staff. Identify. Where do students hang out, what is the largest free classroom to use near that space, and how can we put together an attractional gathering in that space to create energy from day-1? Planting Vision. Talk about launching new units and planting new collegiate churches from the very beginning – don’t wait til it’s time to plant to talk about planting. Influence & Risk. If we want to reach the next generation for Christ we need a laser focus on the campus – even though they may lack the resources found in older populations. They are influential, and they are an unreached people group. 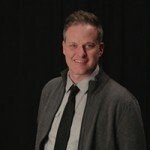 Pastor Dan Reeves currently serves as the Journey Campus Teaching Pastor, Central Baptist Church, Jonesboro, AR. He has a passion for helping people to know and understand God’s Word, to live their lives in light of the Gospel, and to invest their lives in the world around them. 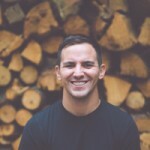 Josh serves as the Worship Arts Pastor at Resonate Church, Pullman, WA. My hope for Resonate is Jesus. May our church know him and love him deeply, and may we take his story and rescue to our neighbors and the ends of the earth.